As humanity becomes more attuned to the animals in our lives, we’re seeing more and more pet parents begin to appreciate their dogs and view them as family members. Where our forefathers let them live in the outbuildings and often suffer unattended, we now go as far as arranging kidney transplants in some cases. It’s no surprise, then, that a whole science is growing around treating conditions that cause dog muscle and joint pain, with some of the world’s leading experts in pet health involved. As in humans, osteoarthritis is a culprit, and many pets develop some form of joint disease during their lives. Injuries are one of the most common causes of future painful joints, and they aren’t always a result of an accident. Dogs that compete in sports such as agility, for example, get injured frequently. For owners intent on shaving a few tenths of a second off the dog’s time, the inflammation from strains isn’t always visible until much, much later. Traumas such as a fracture affecting a joint can occur simply by running around the garden, however, or taking the stairs too fast, and the effects may only reveal themselves years later. Inflammation of the joints is a result of several conditions. These include bacterial, fungal or parasite-transmitted infections such as Lyme disease, non-infectious immune system diseases such as rheumatoid arthritis, and certain forms of cancer including osteosarcoma. All of these can impact the bones and joints, leading to dog muscle and joint pain from osteoarthritis in the affected area. Often, dogs may be born with conditions affecting joint formation and the strength of the ligaments and tendons. Hip and elbow dysplasia are common instances of developmental conditions, as is the less well-known Legg-Perthes disease. Some conditions that can be diagnosed at birth include Wobbler’s syndrome and a luxated patella, which can get worse over time leading to joint degeneration. Dogs can also develop inflammation of the joints as a result of poor nutrition, being overweight and having an overactive thyroid. Any of these conditions can lead to the development of osteoarthritis, so it’s important to treat any form of inflammation as early as possible. We’ve learned a lot over the years about how to treat arthritis in dogs, and while it’s not possible to cure it completely, you can make your dog’s life a lot more comfortable and slow the disease’s progression significantly through proper care and management. Once osteoarthritis is diagnosed, the initial joint treatment for dogs is likely to include both symptomatic care to improve her quality of life as well as reduce inflammation or treat the underlying cause. Antibiotics may be prescribed for an infection, along with an anti-inflammatory such as meloxicam to reduce the pain and swelling. Pain relief medication such as Tramadol helps to reduce the dog’s discomfort until you get the condition under control. In some cases, surgery may be necessary to repair any damage from an injury. Managing your dog’s osteoarthritis over the long-term requires a coordinated regimen of diet, exercise, therapy, and support. This includes revisiting the food you give, to determine whether your dog’s diet may be contributing to the inflammation. We’ll cover this in a separate blog post, so keep an eye out for that. You’ll need to ensure she gets enough low-impact exercise to avoid gaining weight, without putting unnecessary stress on the affected joints. Activities like swimming in a heated pool are especially helpful in achieving this. 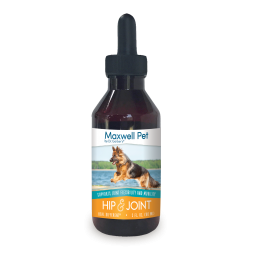 Building up the strength of the joints is paramount, both to avoid further degeneration and the pain that goes with it and to improve the dog’s quality of life. 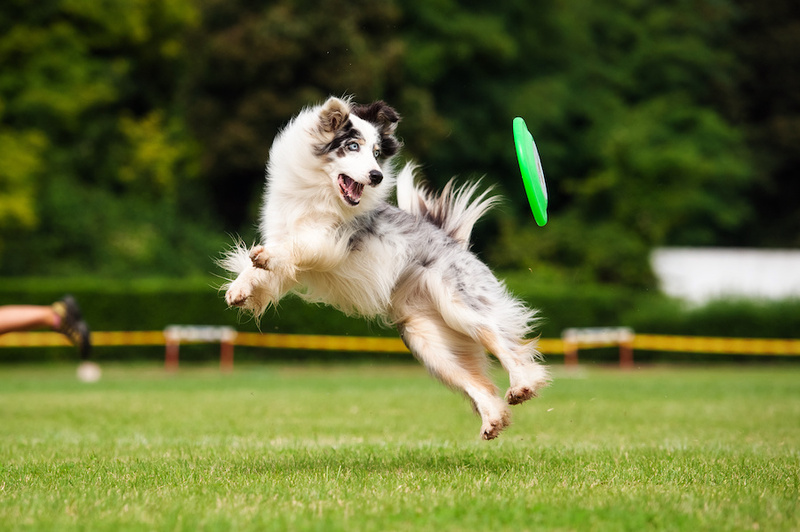 Quality natural joint supplements for dogs enhance the body’s ability to repair the connective tissue in the joints, using a combination of plant stem-cell therapy, absorbable minerals and tissue stimulation. Dogs can get osteoarthritis as easily as we can, but you can often avoid surgery and the ongoing use of expensive and unhealthy prescription drugs by using a lifestyle approach. For more information on our natural joint supplements for dogs or to place your order, please visit our online shop.